Q1. Can you tell us about this project that has applied for the Miss.Africa Seed Fund Awards? The Games Plus Girls bootcamp is an annual workshop by Ubongo Game Lab that focuses on increasing female participation in game development and programming, particularly in preparation for Global Game Jam, the world’s largest game development event that happens annually in January with groups of people from all over the world coming together in their own cities to make games together. 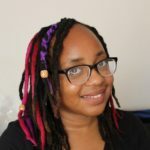 Since Zambia’s first participation in the Global Game Jam in 2014, one of the most immediate concerns was the fact that participation in game development was 100% male. In order to ensure that this would not remain a trend, the first Games Plus Girls bootcamp took place in January 2015 with the goal of introducing game development to women and in turn encourage participation in the Global Game Jam as well as promote programming and game development skills among women. Each year the workshop has a different focus with the overall goal of increasing female collaboration and participation among game developers. In January 2015, the focus of the workshop was an introductory course in game development for game jams using Stencyl and Construct 2, game development frameworks that allow for rapid creation of games with little to no programming experience. Through our Game Plus Girls project we hope to increase female participation in programming and game development in Zambia and Sub-Saharan Africa through the introduction of game development among secondary school girls and youth as a means of digital skills engagement, computational thinking and software project management. During the workshops we have honest and open conversations about being a woman in tech and how we can use technology and arts to bring awareness to issues that affect women in Africa. The interdisciplinary nature game creation also allows for increased collaboration between women in arts and women in technology. We also attempt to address the lack of visibility of games created by Africans and particularly Zambians. As we create interactive games in these workshops, we intend to contribute to the visibility of games made by Zambians, games made by Africans and games made by African women. Introducing logic and programming concepts that are immediately applicable to create an interactive experience. The concepts are introduced and built on through collaborative story construction. As we go through the workshop participants create stories and in order to achieve the narratives they desire they must employ these skills right after learning them. Rapid prototyping as skill is taught through a 2 – 3 hour game exercise at the end of the work shop. A game jam is a gathering of people for the purpose of planning, designing, and creating one or more games within a short span of time. The rapid prototyping used in game jams is a skill applicable in information systems project management. We celebrated the global contributions of women in games at the end of our 2018 workshop with an arcade featuring the contributions of women in games from around the world to not only showcase the girls work but also to show the public how game development is used for entertainment, education and cultural preservation. I’m quite ecstatic that this is something worth acknowledgement. It’s made me realise how even with a small start, the importance of this project as a contribution to promoting women’s activity in technology is appreciated in the global community. It also makes me more aware that this needs to be a continuous effort that I commit to. I also like the fact that people are recognising Games Plus Girls and Ubongo Game Lab’s work more and want to support us from other parts of the world. It can be really challenging getting support for our activities locally because making games isn’t seen locally as that much of a useful technology skill or as respected as a tool for cultural and artistic expression. Having international support on this project has from what I’ve seen allowed perspectives to shift on this and opened ideas on how we can allow African women participate in this. Women in art and literature contributed greatly to Games Plus Girls 2018 and I look forward to further collaboration with mutual beneficial relationship to women in different spheres of art and technology from Zambia, Africa and around the world. Q5. Can you explain why skills for women in tech are so important? The world is highly influenced by technology and jobs globally are increasingly becoming more digital. The digital skills required to navigate the world are needed and in demand with careers increasingly catering to this and we need women to take up more of these roles. Globally technology skills are considered critically needed skills as technology moves forward quickly and more jobs are needed to be filled. The availability of these jobs is a great opportunity for women to earn employment and independence. An added benefit to a lot of work in technology is you can be very flexible in a career with digital skills: working remotely, at odd hours or through gigs in freelance work. Regardless of how you’re employed with digital skills, the opportunities are very lucrative, and this is especially favourable for women who might want to focus on working while at home whether they are expectant mothers, raising children or running a business from home. Growing digital skills is an important means to elevates women’s already existing skills especially in business and entrepreneurship and giving them access to a global market from wherever they may be. The potential of digital skills in allowing women to increase their independence cannot be understated. I believe that governments need to work harder in transitioning to more digital processes. It’s an investment both financially and with time but they need to realize the importance of this not only for improving efficiency, but also because it will bring more local opportunities for those who already possess digital skills in the country and increase the demand and emphasis on digital skills education. This will go hand in hand with the push for energy access across Africa. The vast majority of the continent has access to mobile phones. Going digital doesn’t have to mean making everything require computers or online access. We have unique challenges in Africa with regards to digital penetration, but mobile access is quite universal and there is the technology to leverage that and build systems that allow anyone on the continent to become more familiar with digital skills and build on them. Once government starts to see and promote the utility of digital skills as more of a necessity in improving our way of life and assisting in preserving our culture, it will follow that there will be more investment both in the public and private sector increasing digital literacy and increasing the demand for people with digital skills.